Yesterday I was excited when I could download the Win 7 dev kit, but that turned to disappointment when I realised that I could only run the application that I deployed and not try out the other stuff on the phone. Today, thanks to Dan Ardelean I was able to unlock the Windows 7 Phone emulator. 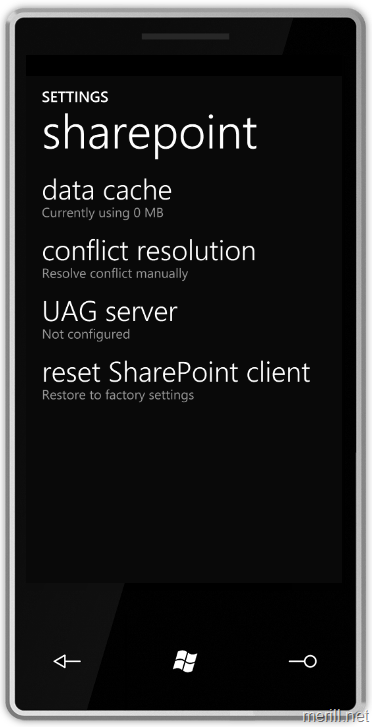 So here I was poking around only to be pleasantly surprised to see the SharePoint client built in to the phone. 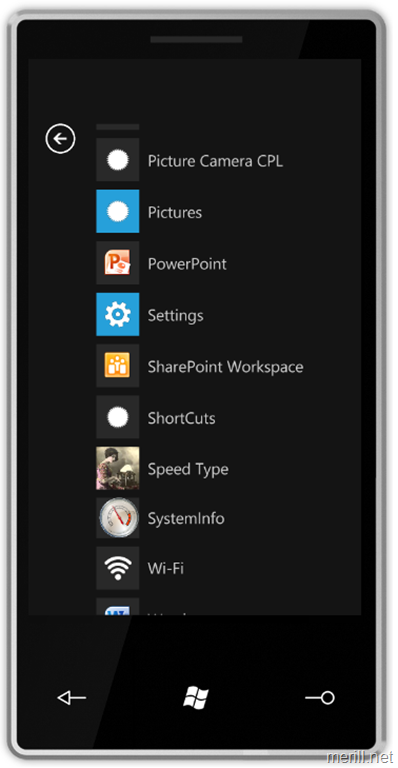 Here are the first screenshots you’ll see of the Win7Phone SharePoint client.